If you have a strong opinion about who'll be your next mayor, or who'll be your next alderman, you'll want your vote to count. Today's the last day to register for the city election. Check to make sure you're registered here. There is grace period registration, but it's a bit more complicated. Find out more here. 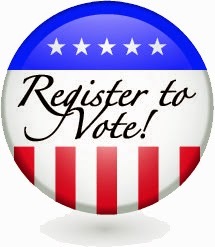 There is no grace period registration/voting available on Election Day, February 24th.